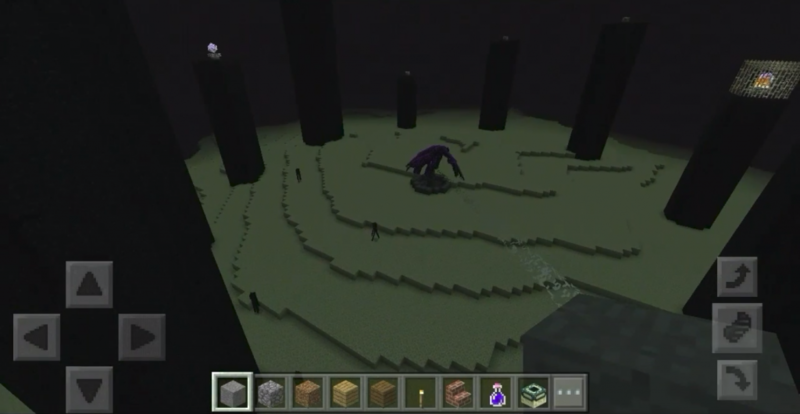 Ultimate Ender Dragon is one of the most dangerous mobs in Minecraft PE. Mod Ultimate Ender Dragon mod for Minecraft Pocket Edition, will make the killing of this mob a super complicated task for the players. Now the Dragon will become much stronger and faster, and will also have a unique opportunity to teleport. Not only is this mob now very dangerous, so it still has a terrifying new look that makes any player of the MCPE tremble with fear. 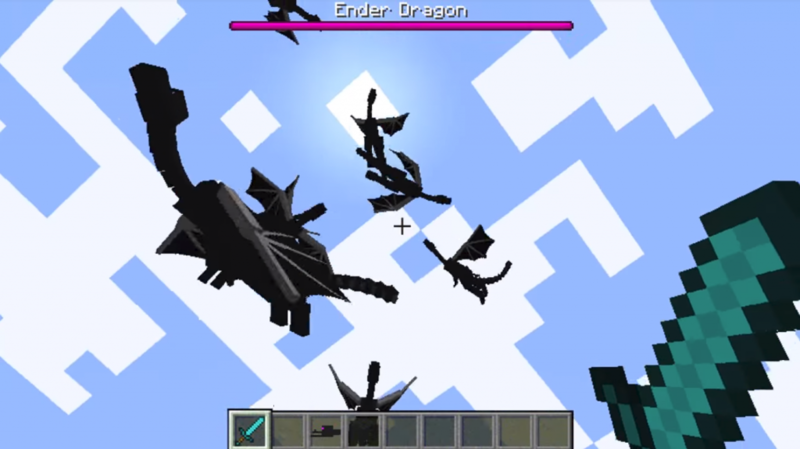 The first thing you’ll see is the completely new modified Dragon textures in Minecraft PE. 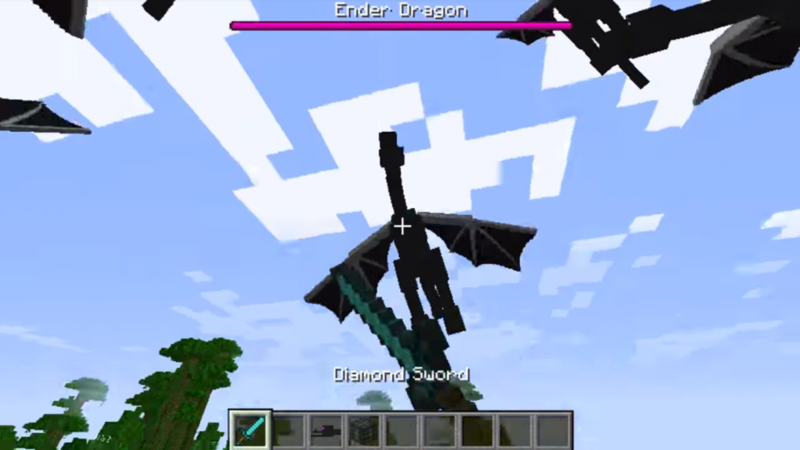 In addition, immediately after the start of your fight, you will notice that the new Ender Dragon has become much more powerful due to the increased health and strength reserve, but especially because of its ability to teleport around the world of Minecraft Pocket Edition. If you can still kill the new Ender Dragon from the world of McPE, be sure to let us know in the comments!